Like a Johnny Cash drunk on Pope's blood, King Dude is releasing the vinyl version of his first album TONIGHT'S SPECIAL DEATH on Avant!. Released in 2010 by Disaro on CDr, this new version of TONIGHT'S SPECIAL DEATH has two bonus tracks: 'White Hands' and 'Day Of The Night'. Recorded like King Dude was playing in a crypt, the ten songs of the album presents a black folk singer in love with Satan who sometimes recalled me :Of The Wand & The Moon: (King Dude also released a split 7' with Solanaceae on Heidrunar Myrkrunar the last year). 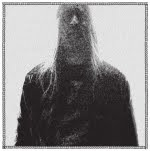 Solo project of Thomas Jefferson Cowgill (owner of Actual Pain clothing and previously in the black/death metal band Book Of Black Earth), King Dude play simple ballads with an acoustic guitar sometimes using few percussions and having a female guest vocalist for duets. Also for his vocals he doesn't care much about the form and it doesn't matter if sometimes he seems to be out of tune, because his passionate lyrics are the main elements into his music. Here are some highlights: 'Lucifer is drinking from his cup, Take a drink, laugh and dance with us', 'There won't be a river of gold. There won't be a safe place to stay. And in my mind's eye I will see you calling out my name', 'You can slit my throat, drain in my blood, it won't make a difference cuz of where I'm from, yeah I was, born in blood', 'In the age of hidden scripts and hidden names pursed on hidden lips. There will be, players spoke, a prophecy of the great horned owl's ghost. Today is the day, the day of the night. Today is the day, day of the night and if you opened your eyes, and see no light, then today is the day, day of the night'.